Air moves in large bodies called air masses. When two air masses bump into each other, the place where they meet is called a front. This is where weather often occurs. 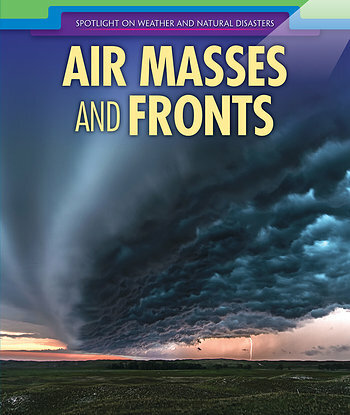 This fact-filled book explores air masses and fronts using age-appropriate text and full-color photographs. Students will learn where air masses form, how they move, and what happens when they meet. Different types of fronts and the weather they cause are also covered in detail. Primary sources add depth and provide students with real-life examples of air masses and fronts in action.